Prime Minister Narendra Modi Friday referred to the Enforcement Directorate's charge sheet on the AgustaWestland helicopter scam and claimed that alleged middleman Christian Michel had pointed at the involvement of the first family of the Congress. Alleging that the Congress and corruption were "inseparable partners", Modi said Michel had disclosed two names to his interrogators. "One was 'AP' and the other was 'Fam'. 'AP' stands for Ahmed Patel and 'Fam' stands for family. Have you heard of Ahmed Patel? Which family is he close to?" Modi asked the crowd at a rally in Dehradun. When he heard the crowd's response, Modi said: "You understood automatically. The family cannot tolerate the stern attitude of the 'chowkidar' (watchman)." The ED had filed a supplementary charge sheet against Michel in a Delhi court on Thursday, saying that the alleged middleman had identified the initials "AP" as Ahmed Patel, the senior Congress leader considered close to the Gandhi family. Michel, however, filed an application on Friday claiming that he had not named anybody in connection with the deal. Modi claimed he was told that a journalists were pushed around when he tried to ask Congress president Rahul Gandhi questions on the charge sheet. 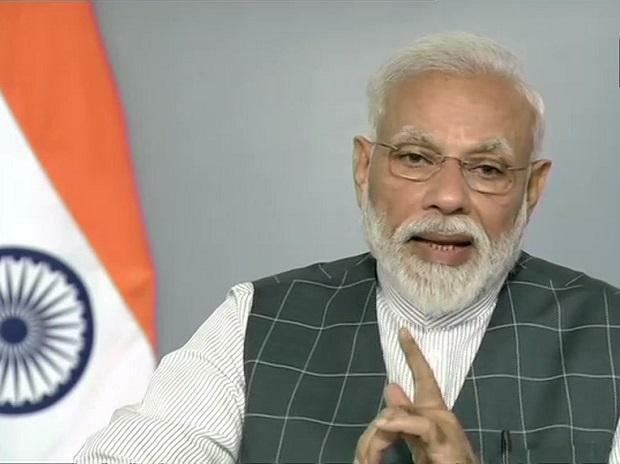 "I was told today that when some journalists asked this 'naamdar' some questions on the helicopter scam, he slapped him and ran away," Modi said. "When the ground beneath the feet of this messiah of peace is slipping away, he is even pushing around reporters." The apparent reference was to an incident earlier in the day in Pune when a television journalist was stopped by security personnel when he approached the car in which Gandhi was seated. A video clip showed security personnel blocking the journalist. The "family", which at one time governed the fortunes of the country, is out on bail and thinking up ways to save itself from going to jail, the prime minister alleged. "The name of the family comes on top when it comes to corruption. They did not spare even our armed forces. No defence deal, be it Bofors or the helicopter deal, took place during Congress regimes without commissions being paid," Modi said at the parade ground. "There was a time when no one dared to touch this family. Their vehicles went straight to the aircraft at airports without anyone checking them. Today, they are trying every method up their sleeve to save themselves from landing behind bars," he said. Modi claimed that the Congress governments compete with each other to exceed in corruption. "Congress and corruption are inseparable partners. Wherever the party comes to power, corruption goes on the accelerator while development goes on the ventilator," Modi said, drawing loud cheers from the crowd. "There is no resource on 'jal, thal and nabh' (water, land and space) that they have not looted." The prime minister also accused the Congress of hurting the morale of the armed forces by seeking a review of the Armed Forces (Special Powers) Act in Jammu and Kashmir. "What will happen to the country (if they do so)? You are committing the sin of removing the protective cover from the security personnel for votes? Shame on you for your politics. Any terrorist can file any kind of FIR against the Army and security personnel if the AFSPA is withdrawn," Modi said. "By talking about revoking and repealing these laws, the Congress is giving a free reign to Pakistan-funded terrorists, separatists and the stone pelters. What is wrong with the Congress Party?" Modi asked. Modi claimed that the manifesto reflected Congress' hatred for the armed forces, saying it was reflected in the way the party had stalled the implementation of the One Rank One Pension (OROP) scheme for 40 years. The Congress said on Friday that the ED's supplementary charge sheet was a "cheap election stunt" to divert the people's attention from the "imminent defeat" of the Narendra Modi dispensation in the Lok Sabha election. Congress chief spokesperson Randeep Surjewala said a "panic-stricken" Modi government is using "rehashed insinuations" through its "puppet" ED, which it dubbed as "Election Dhakosla" (sham) for "manufacturing lies".